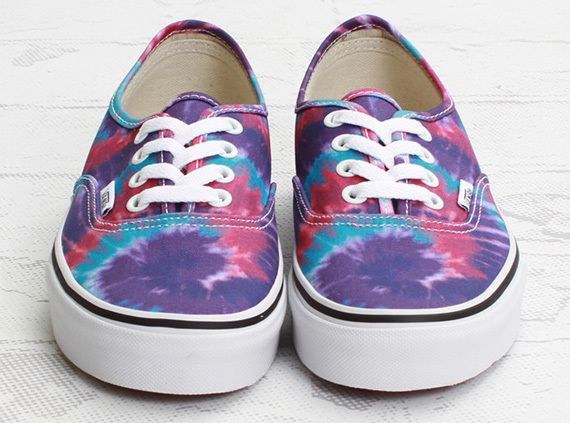 Vans prepares for the summer with the all new tie-dye covered Authentic for the ladies. 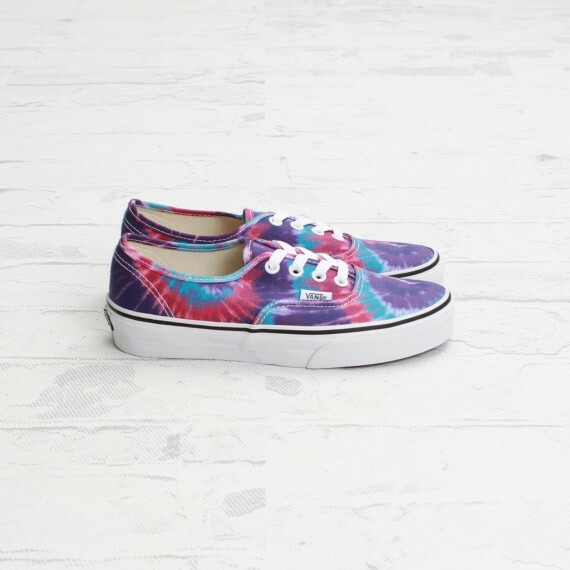 The timeless Authentic by Vans utilizes a classic tie-dye design throughout their entire canvas upper in a combination of purple, blue and pink hues. White laces are also put to use on these women's exclusive Authentics, while a traditional white vulcanized sole sits below. The 'Tie-Dye' Vans Authentic is now available at select retailers such as Concepts.